<20% loss of capacity at 900 cycles? Basically no loss in IR rating after 900 cycles? Perhaps no more puffed packs? 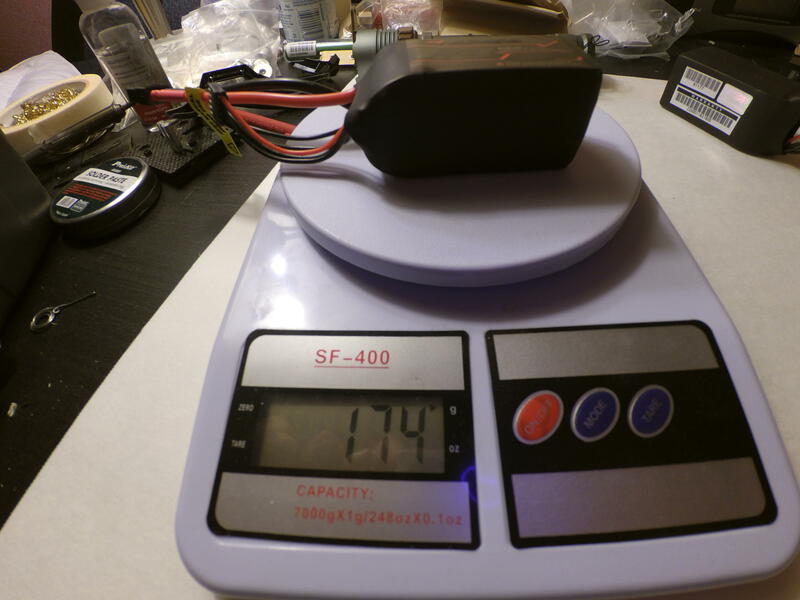 Back in early December 2015, I was asked by Hobby King to do another round of testing on a battery line, this time on a new lipo line that they were considering releasing in February or March 2016. My contact was adamant about me not being a shill (I was thinking… I WOULD NEVER). Instead, he insisted that I call it as it is (always do). If they are a flop be honest and say it (I will). His next email had a picture of the packs and I immediately got excited. Why? They had the word Graphene on the label. He did not mention that yet. I don’t know how much you know about graphene but this is (may) be the next BIG thing the semiconductor industry (and many others) is waiting on (the semiconductor industry is my 9-5 job). Graphene has also been known in all industries as being almost impossible to use. Well, up to a few years ago anyhow. Engineers have since figured out how to apply it to many applications but can it be done cost efficiently? A few weeks later I received some 4S 1300 packs. I frowned some when I looked closely at the shrink wrap around the cells. It was not the typical PVC that I am used to and I resist change. Instead, it resembled the smaller black shrink we use around our wiring. Measurements showed it to be 13 thousandths of an inch thick (.013) and a dull, sorta satin, black. Just like our tube heat shrink. (.010 on my 3/16” heat shrink) Over a month later I can honestly say that I LOVE THIS SHRINK. It is more resistant to hanger rash too. I also noticed these carried more weight and were slightly larger than my other 4S 1300 packs. My scale showed these to be .3750 pound / 6oz / 170 grams. I have the Wayne Giles IR tool so I tested IR and V of every pack. All came in at 31C to 33C but I have to admit the temps were not verified. True IR testing must be in a lab type environment at 72F for 2-3 hours for the most accurate readings. WOW, that is some low IR. I charged pack #1 up on my PL8 at 5 amps and all cells sat at 4.20. OK, no biggie, seen that before. I then set my PL8 to discharge at 30 amps (23C; the most my PL8 would discharge into my lipo source) down to 3.6 volts so it will cut off when the first cell touches 3.6 volts. I began the regenerative discharge into my 7S5P and she held 30 amps all the way down. That is a 2:10 discharge cycle. I also noticed all cells were within .01 of each other during this discharge. OK, did not expect that one. Pack temp was 107 but I do not recall ambient though it was around 75F for a high that day. I was expecting more heat. Next up was another charge and a slow discharge down to 3.0 volts at 1 amp. All packs delivered 1280 to 1290mah; that’s a 1300mah pack in my books. I now have (are you ready for this) more than 897 cycles on this pack; I call it pack #1. You know the saying “If it’s too good to be true…” This is the real deal guys and gals. Anyone that knows Lipo’s will ask how the capacity is now after >900 cycles (20 more cycles are running as I type this). Well, a few nights ago I let the pack soak in my 72F house and the IR was 29. That’s right, basically NO LOSS of C rating at cycle 729. Really? Yulp, and the IR has been holding around there the whole time. The worse I had tested at 27C but the pack was at 68F based in my IR thermometer. Too low, I know, but I wanted to fill in my spreadsheet. Remember, IR is directly affected by temperature and it isn’t linear in temperature or between packs. Next up you should be asking about the true capacity now. Well, are you sitting down yet? At cycle 894, again at a 1 amp draw down to 3.0 volts, I got 1109 out. That is still 85% capacity. Really? We always say a lipo is pretty much gone when we lose 20% capacity. Usually with this loss we have a loss in IR but I have not seen this…yet. OK… so I abused this pack on one flight in my stock EDF Meteor. Amps stated at 52 and ended up at 47 as the cells neared 3.4. Oh, that was on cycle 504. Really? Pack temp was only a bit higher than my 30 amp discharges and I recorded 127F one minute after my 60 second flight. I am continuing to run 23C cycle life tests in the coming weeks. If the true capacity drops below 80% but it still dishes out the amps, I will keep going. I will retire this pack when the IR goes up to a point where the amp delivery is worthless. Hopefully I will not be Rip Van Winkle’s age when that happens. Thanks to Race Miata for the energy density numbers in post #17. "Graphene 4S 65C 1300 = 175g. Energy density = 4 x 1.3 x 3.7 / 175 = 110Whr/kg"
Typical non PCB type of pack assembly. Add January 2017. I year old technology and stI'll on top. Look at this comparison by Felopaul. The very respected battery tester Wayne Giles pushes a 1300 4S 65C pack to 50C by 5C increments. Unbelievable - Pack totally discharged due to a crashed plane and not accessible for 2 days. A very knowledgeable user did the necessary recover process and IT LIVES WITH NO OUTWARD CHANGE IN IR. <Update January 25, 2018> Another user has put over 1000 cycles on all 6 of his Turnigy Graphene packs. Some are getting tired, yes, but sure beats the 75 to 150 cycles I got a decade ago from pack priced 4x more than these. <Update April 25, 2018> --Oz-- has over 2000 HARD cycles on several 1300 packs on his quad pulling up to 118A bursts. OK folks, if you do not know rampman, he is the REAL DEAL when it comes to lipos. He has forgotten more about lipo technology and pack build than I know. Two of our clubs give him our tired and damaged lipos. Oh, and he definitely IS NOT a shill for Hobby King. I have been watching him fly his Meteor on these 4S 1300 packs, and he has really been pushing them. These packs are the real deal folks. I plan to buy a good supply of them as soon as HK puts them up for sale. I recently got into larger EDFs, and these packs will hopefully give us the power we've been craving for these amp hogs! Ok well I guess it's time to join the fray! These claims are hard to believe. You say based on your tests we can expect more than 900 cycles? Have you actually performed 900 cycles on one pack? How about 100 cycles? You have to be a machine to perform 900 cycles since early December. PS I see you are using a machine but under normal use (flying) things are not so controlled and minor (and major) variations of optimal draw occur. I truly hope you are are right in your optimism and look forward to further developments. Last edited by 4stripes; Jan 28, 2016 at 11:13 PM. Actually, the 45C was a stock photo that was emailed to me. Mine show 65C but we all know if they had 30C on the label they would not sell well. I plan to dissect a cell in the near future. Unfortunately I may end up trashing a good cell to do this. 4stripes. Look at the pdf that I attached. Study it. Its all there. I know, I know...its hard to believe and I was there. One thing I do when flying is variable throttle. These tests were not variable so IMO these tests were harder than my prop planes. I am well over 900 cycles and still running. 20 cycles at a time and 2 times a day = 40 cycles per day IF everything in my life allows me to tend to the charger. Oh, life interupts. Last edited by rampman; Jan 28, 2016 at 11:34 PM. I've also done some testing on the Graphene packs and those that have read my history of posts in the B&C forum know that I am not known for hyperbole when it comes to objective lipoly performance. I'm an engineer through and through and place great emphasis on objective (measurable) performance. I've tested a great number of lipolys over the last 10 years and call it as I see it. Lipolys have indeed improved greatly over the last several years and I must say that these Graphene cells are a cut above anything that have ever crossed my test bench or have had the opportunity to fly in my models. They're indeed the real deal as Rick has clearly elucidated and are a new paradigm in performance, at least as far as I am concerned. My 4S 1300's all have IR (Wayne Giles ESR meter) between 4.20 and 4.60mOhm per cell after break-in and when tested at 72F. Figure-Of-Merit (FOM) is ~2.0 which is insanely good. As Rick has pointed out, the best thing is that these cells don't quickly fade into obscurity like many other high performance cells. I run these in my 210 fpv racer and performance eats every other battery that I have ever tried. Punchouts are like a rocket and stops from a high freefall are immediate. I suspect that these will be the go-to packs for all that demand the best in performance and longevity. I know that I'm likely to purchase these exclusively going forward. Last edited by mrforsyth; Jan 29, 2016 at 12:34 AM. When will they be available, any idea? From Rick's first post: "considering releasing in February or March 2016"
Wow you guys beat me to it. I've also been testing the Graphene in secret for a month now. I was going to do a detailed write-up like I always do in "My Nanotech Thread" but since you guys have done a good job in that on this thread I'll just add in my part. I'm nowhere near 900 flights any pack yet but I've been flying the 65C 4S 1300 packs with my 3S 250 quad (cheap lazy-flying 3S setup) pulling 45A+ with 4S every flight, about 20 total each pack, 34C bursts and 12C continuous. These are the identical packs that mrforsyth mentioned. IR per capacity edges out the Bolt which has been at the top among all other lipos I have my hands on. This means temperature creep on high discharge also edges out the Bolt. So far I've been charging these packs at 2C. I have to admit I'm not babying these packs as I have my own Nanotech 6S 25C 3000 packs which BTW has gone past 300-flight milestone (more on that on my nanotech thread later). I have once accidentally flew a flown-pack down to 3.45V resting. I made note which of my packs was it so it'll be interesting to see if that packs degrades performance sooner than the rest. It'll take me some time to get 900 flights out of each pack (I'll be very happy if my quad can outlast these packs at say even just 300 flights each pack) but these cycles will be real-world use, like how I built my 300+ cycles with my nanotech 6S 25C 3000 packs. Here's my not-so-3S-lazy-anymore quad. It's not as fast as you guys' racer quads but it's still pulling 34C bursts every flight. But I have to say it is nice to see a technology with the actual chance to be in the hands of ordinary people.